PSL will provide goalie gear if needed. Shin guards, mouth guards and eye protection ARE REQUIRED by each player. Gloves, knee pads and protective cups are recommended. 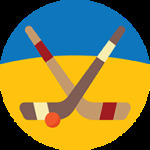 Check out this Floor Hockey league '19SPR2 - FLOOR HOCKEY MEN'S - OUTDOOR 5v5 - FISHTOWN - *LONG SEASON* (THURSDAYS)' with Philly Leagues!